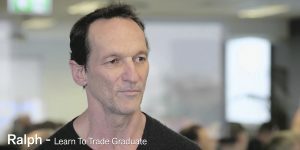 Dave: Yeah, well when I was approached and I did my homework and kind of looked at the program, I liked what I saw and I liked the support and everything that we see – and when I did the Learn Forex course and got to understand the bigger picture that I must have for going forward to try and trying to take myself into a trading career. Initially, I’ve never – I never had any understanding of neuroscience or anything like that and never thought I would have and with the introduction to the money stories success program, and the education I got from that was invaluable as far as getting an understanding of my own mind and feelings and you know, the psychological side, which is 60% of the trading process. To get an understanding of that, because I knew I needed to have some control. Interviewer: You had a history of that not quite being there? Dave: Yeah and not just with trading, with other things throughout my life. I’ve never been afraid to take risks and initially my first month, I made 25% and my second month was another 17% and then it was another 30% in the third month. When I found I was getting too many – loosing trades or something was affecting me, I just turned around and stop trading or reduced my trades until I could turn around and get my head right. It was too easy to sit in front of the computer and have the market challenge me to take a trade. Dave: I have to have a trade. With the meditations and the control the anxiety and such, I was able to be calm, sit down in front of the computer without that anxiety. I also found that if I wasn’t following through with my meditations and keeping myself on track, I would fall back into the same old way, very easily. Interviewer: You could see that. We talk about breaking the habit of being yourself. Dave: It would start affecting the trades very quickly. Self-control and well-being and well-being of my own mind, psychologically it’s been great and it’s not only for trading, but also for everything outside as well. 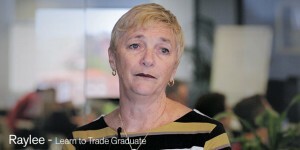 It’s a program for anybody who wants to make a career out of trading needs to do. It’s a must. Interviewer: And why would you say that? What’s it do? Dave: We all think we are in a good mind space. Dave: But we’re not, you know, we are all – we have been put in these boxes throughout the years and our beliefs are certain ways and you know, those sorts of things need to be reformed to allow you to reestablish yourself as a trader. It was new to me and since I started seeing where it is actually working in other industries and such. My personal belief is probably twenty years from now you will see it everywhere.